It was a normal Friday, September 27th 2013, nothing unusual on the agenda but before I even opened my eyes there was a strange anxious feeling in my stomach. I did a quick mental check on the events of the day before and the day to come…nothing out of the ordinary was expected or had happened but there it was an unsettled, nervous feeling deep in my stomach that I couldn’t explain. I got Husband and the boys out the door and set about my usual Friday chores, grocery shopping and housework. The unsettled feeling persisted. I got stuck into the housework as I scrubbed, vacuumed, bleached and polished my anxiety grew. Periodically I stopped to analyse what was going on and ask myself why I felt like this. My 40th was one week away, was this what people termed a ‘midlife crisis’, was I turning into a neurotic nut bag? By lunchtime I felt an overwhelming need to speak to my parents so I logged into Skype. Offline it said, now that was unexpected they were never offline. A quick mental calculation of the time difference in England told me it was 6pm there, Dad should be home Mum would be getting home from work about now why would they possibly be offline this time on a Friday? My nervous stomach did a back flip. I distracted myself with more cleaning, everything that stood still was either scrubbed or put away, I couldn’t stop and I didn’t know why. I checked skype repeatedly, still offline. Was that the reason behind my feelings? Was something wrong back in England? The logical part of my brain told me I was being utterly ridiculous but I was sure something was going on, I just didn’t know what. By 3pm I couldn’t take it anymore, sixth sense, instinct, call it what you will but something in my very core told me something usual was happening and every fibre of my being needed to find out what it was. I called my sister. Half an hour later, when my husband arrived home early and asked me come outside I was greeted with the most amazing, jaw dropping sight. There on the drive, suitcases in hand and grinning from ear to ear were my parents. A wonderful, completely unexpected, birthday surprise. The brave face I wear daily like a layer of armour crumpled and with my defences down the homesickness I had been stifling for a year boiled over I allowed myself to admit how much I missed them and as I ran towards them, overcome with emotion, I began to cry. This entry was posted in About me, The Prompt on March 27, 2014 by Lou. Ah Lou what a wonderful surprise! I lived away from my parents for one (academic) year when I did my year of study abroad in Texas at the age of 23 and this was before email too but we exchanged some wonderful letters in that time and I was always so excited to go and check my pigeonhole for new post! Oh my goodness! That made me cry. What a wonderful surprise. How strange that you would feel so unsettled all day. You must have a weird sixth sense. Gorgeous & a lovely read. Thank you! That’s such a sweet story!! How amazing of your parents to surprise you like that… Best birthday present ever, I imagine! Awww, this is such a great surprise. I was anticipating soethign being wrong with your parents, but it was a positive surprise. Great writing. 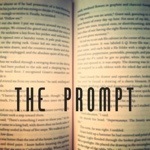 Via #theprompt.